A dinosaur with snuggly scales? What a funny sight! 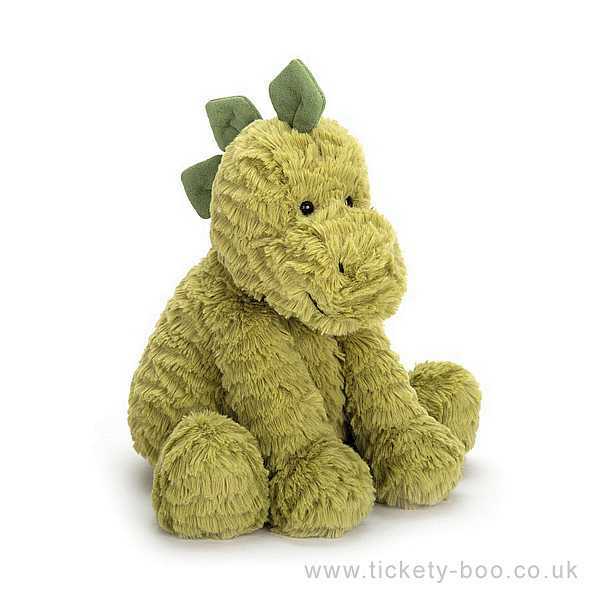 Fuddlewuddle Dino is a very special chap, with scruffly fur in apple green. His very fine spines are suedey-soft and he simply loves to be tickled. Make friends with this Dino by feeding him grass - he's a prehistoric veggie sweetie!